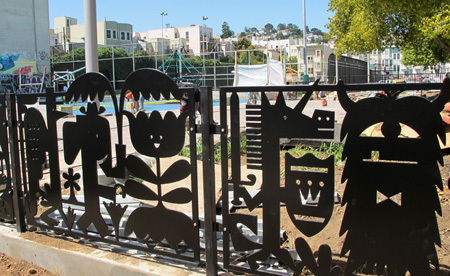 My first public art commission made its debut today with the opening of Mission Playground in San Francisco. 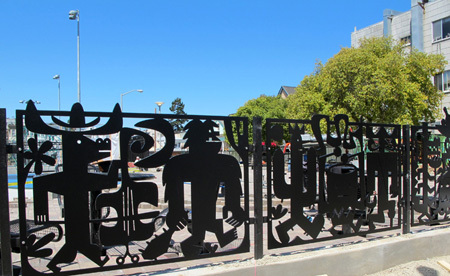 The artwork, titled Mission Parade, is a sculptural metal fence along the newly-renovated park’s Valencia and 19th Street entrances designed under contract with the San Francisco Arts Commission. 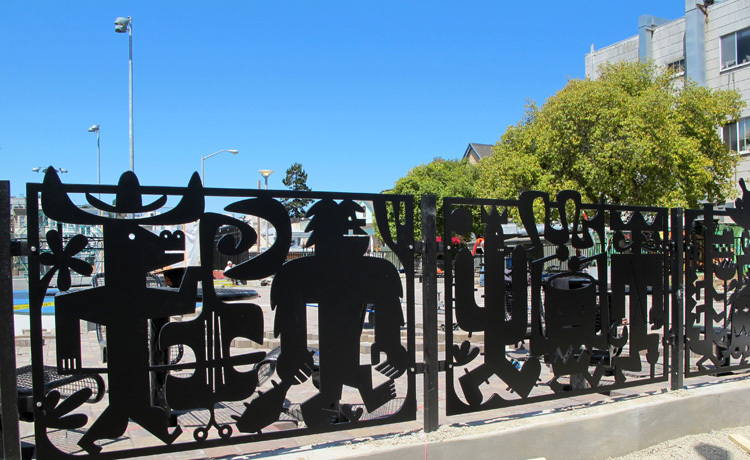 I describe the decorative panels’ imagery as a playful interpretation of the Mission District’s diverse character, ethnicity, and creativity. 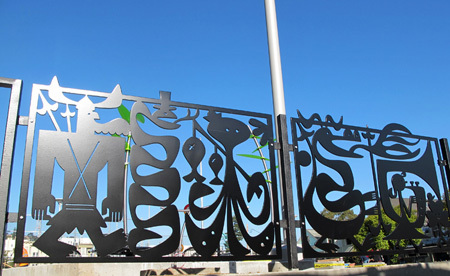 The procession’s historical and imaginary characters reference the neighborhood’s past while casting a cheerful look to the future. My parade of characters consists of 20 panels with 10 unique vignettes that repeat at both park entrances but marching in opposite directions. 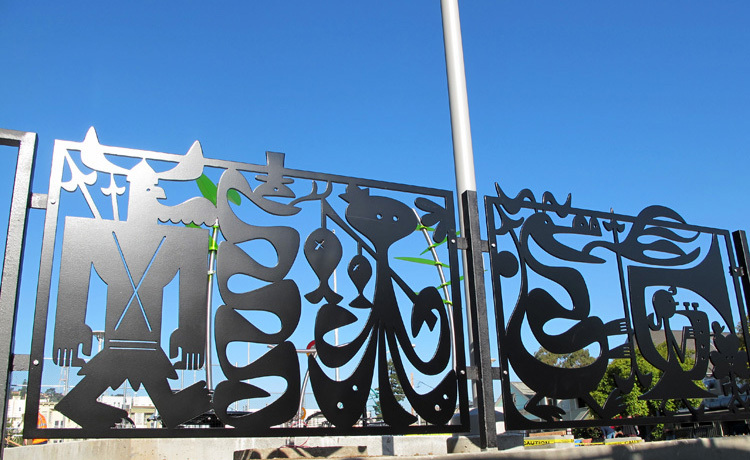 The artwork was designed in Adobe Illustrator, fabricated with waterjet-cut steel plates, and finished in black Tnemic coating. Great thanks to Marcus Davies, Jennifer Lovvorn, Meghan Tiernan, and JD Beltran at the San Francisco Arts Commission, JW Nickel at Rocket Science, Edward Chin at the SF Department of Public Works, and the many others who made this exciting project a reality. The SFAC’s press release for Mission Parade is here. 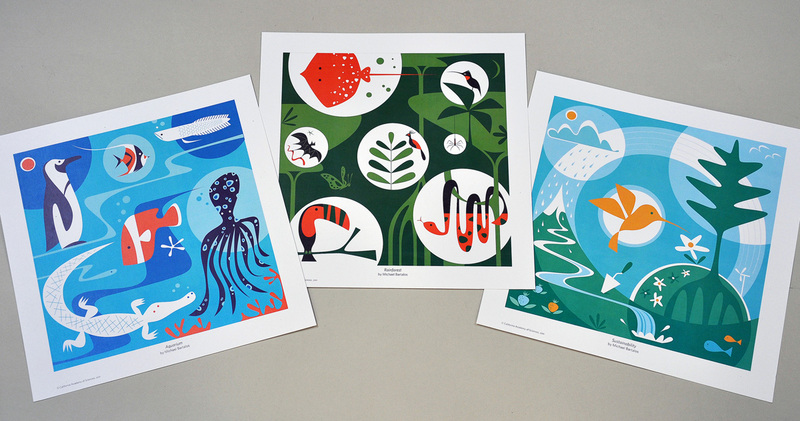 The California Academy of Sciences recently published a set of my museum graphics as prints, available now in the Academy’s three retail stores. The package contains three images titled Aquarium, Rainforest, and Sustainability, issued as 10″ x 10″ digital color prints designed to be matted and framed in 12″ x 12″ frames. Three 4″ x 6″ postcards are enclosed as well. Aquarium features the popular African penguins, the albino alligator, giant octopus, and fishes from the aquarium. Rainforest is a view into the museum’s spectacular four-story dome representing rainforests from around the world. Among the 1600 live animals are many species of birds, butterflies, and snakes. Sustainability depicts the interconnectedness of life on Earth. The Academy is one of the greenest museums in the world — featuring a living roof, solar panels, recycled steel and other components for which it was awarded a LEED Platinum certification. These three images are among the twelve original theme illustrations I created for the CalAcademy’s wall display panels, retail products, and print collateral on the occasion of the museum’s reopening in 2008. 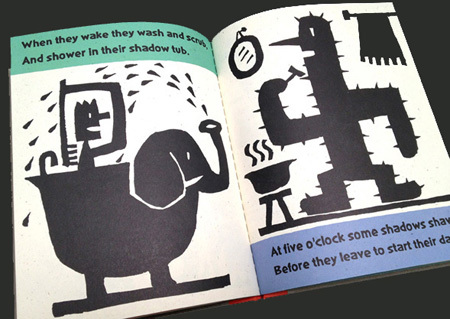 Many thanks to Craig Frazier for featuring my children’s book Shadowville on 36pages.com, his curated showcase of imaginative picture books. Craig is a prolific illustrator and author of numerous books including the Stanley series (Chronicle Books), Trucks Roll (Simon & Schuster), Hank Finds Inspiration (Roaring Brook), Lots of Dots (Chronicle Books), and Bee & Bird (Roaring Brook). Signed copies of Shadowville are available for purchase by contacting me directly. 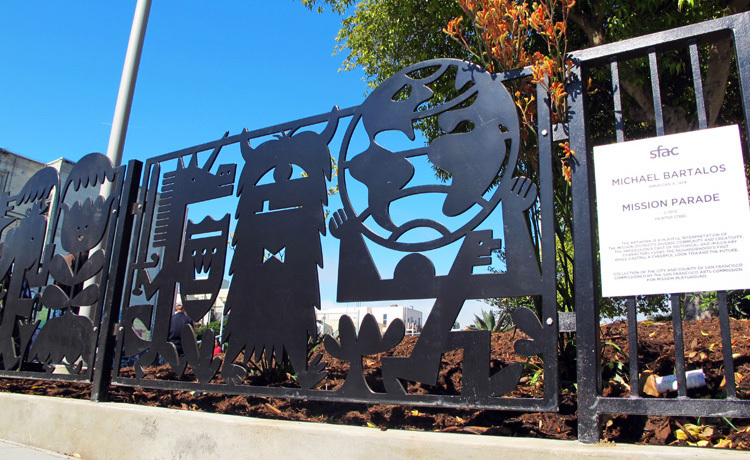 The design was commissioned by Anne Balsamo, Professor of Interactive Media in the School of Cinematic Arts, and of Communication in the Annenberg School for Communication & Journalism. Anne is also a co-founder of Onomy Labs where we worked together on the Singapore Science Centre’s Interactive Wall, pictured in this site’s Product category. Big thanks to my friends at Target for inviting me back to Minneapolis for the Spark Speaker Series. On January 26 I had the pleasure of talking about my Long View Project and the National Science Foundation’s Artists and Writers Program. 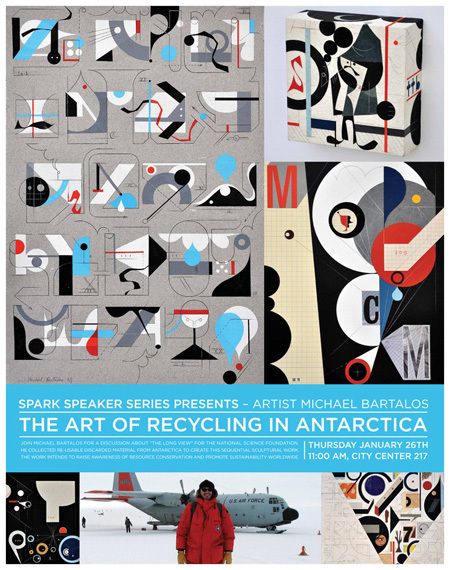 The Spark Speaker Series is a monthly event hosted by Target’s creative team who invite speakers with a unique practice or story to relate. Past guests include film director Pete Docter, polar environmentalist Will Steger, and comics creator Stan Lee, placing me in esteemed company. Extra thanks to Ted Halbur for designing the poster above and to Marsha Trainer for arranging my visit. I’m honored to be the first Spark speaker to be asked back twice! I recently lent a hand in designing the Snow Dome Theater for the California Academy of Sciences‘ special holiday exhibit ’Tis the Season for Science. 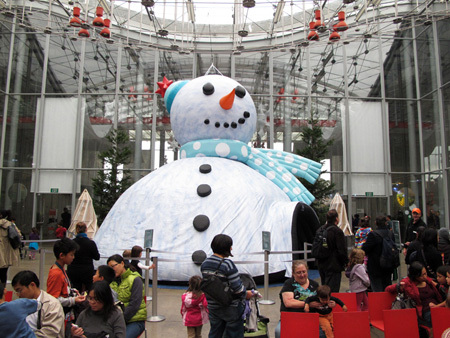 The immersive digital dome, shaped like a giant snowman based on my sketches, plays two new shows on the science of snow on Earth and on other worlds. This is the second (new & improved) year for ’Tis the Season for Science. Attractions include indoor ‘snow’ flurries occurring every half hour in the Piazza, a pair of live reindeer residing in the East Garden where visitors learn about their amazing adaptations, and the “Spice Forest,” a life-size sculptural representation of trees featuring an aromatic display of the raw botanical specimens from which cinnamon, nutmeg, vanilla, and other familiar holiday ingredients come from. The Snow Dome Theater and bulk of the exhibit are located in the museum’s central Piazza space through January 16, 2012.
of ambient sound and experimental music. 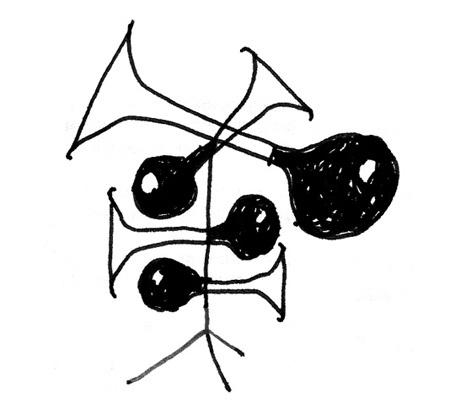 Each month, Marc invites an illustrator / comic artist to draw a sound-related object to be posted as the background of Disquiet’s Twitter page. He also shares the art and information about the illustrator back on Disquiet.com. to pick from and to my surprise (and delight), he posted them all. I’m super-pleased to have a presence on Disquiet, a site I’ve long enjoyed for its rich and adventurous content. 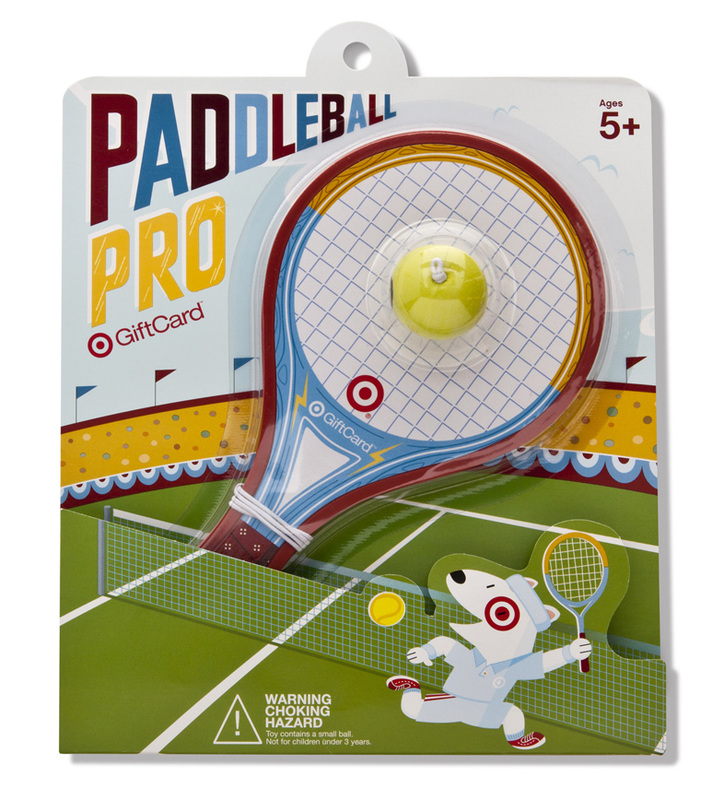 I most recently worked with Target to design their Paddleball Pro GiftCard and packaging. As with the Bullseye Flyer, the product was created to serve both as a gift card and a functional, entertaining toy for the kids. Much thanks to Target designers Chad Albers and Ted Halbur for another great collaboration! My original theme illustrations for the California Academy of Sciences have been applied to wall display panels, retail products, and print collateral. 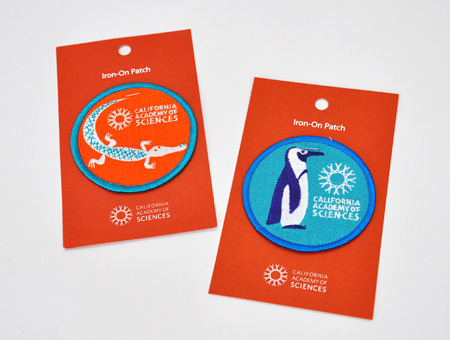 Most recently the graphics appear on iron-on patches, available now in the museum’s three retail stores. My third set of Target GiftCoins is out now, following the original five and the holiday pack. This new set takes sports as its theme, featuring Bullseye the Target mascot as a soccer goalie, star quarterback, major league batter, golf pro, and tennis champ. 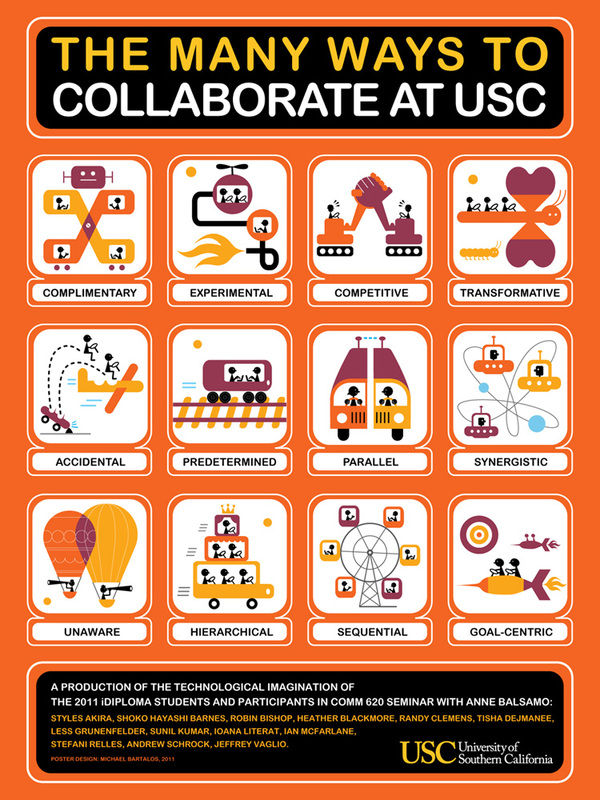 Many thanks to art directors Julie Hoppner and Brian Holt for another fun project!